The clouds have cleared, the birds are singing and Spring is finally in the air. With one quick glance we can see the change that’s underway. Flowers are blooming, the grass is high and our skin is begging for the sun’s kiss. And just as we see changes to the world around us, we also start to notice changes at our local restaurants. We gradually move away from the warm cakes and pies that soothed our bones over the Winter months and we start looking forward to fruit topped custards and creamy ice creams! Fortunately for us foodies, Salisbury has PLENTY to of options! 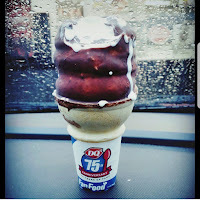 One of my favorite stops is the old fashioned, iconic Dairy Queen located at 1004 W Innes St where you can still order all kinds of delicious soft-serve treats right at the window. 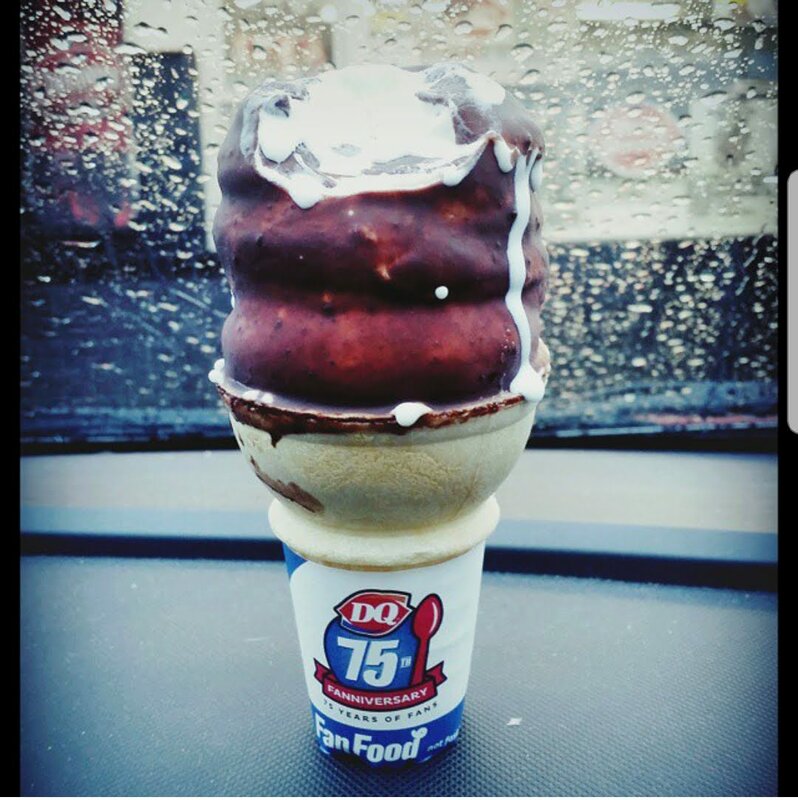 On a warm summer night, just after the sun sets, nothing makes the heart sing like a dipped cone! 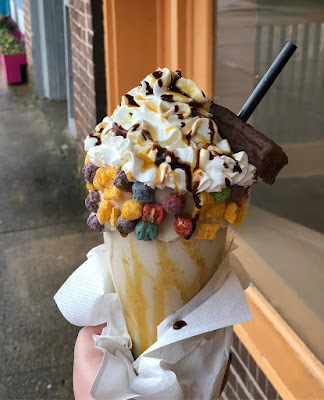 As you venture into downtown, you’ll notice Spanky’s, a cozy, sort-of retro ice-cream shop that also offers all sorts of sundaes, cookies, sandwiches and soups in addition to a nice selection of ice-cream flavors. Spanky’s is located right on the corner Innes and Main and is a regular stop for downtown shoppers. North of Spanky’s you’ll find some less traditional ice-cream in the beautiful new Pho Uy in addition to Vietnamese waffles and bubble teas. I have to admit, they got me there. Salisbury Scoops offers a wide variety of ice creams with several unique flavors. They have done well in their first year but alas, they have yet again outgrown the location. With an anticipated date of late-April, Salisbury Scoops will host a grand re-opening right next door at 205 S. Main. The new location will offer guests more space and a more open and friendly environment. Along with the current menu, they will also offer several fun, new items including gourmet milkshakes and slushies, including a Rowan themed Cheerwine flavor! They will also be offering the “Salisbury Super Split.” The Salisbury Super Spilt consists of not one.. not two.. BUT FOURTEEN scoops of cold, creamy ice-cream. Then, they top it with all the traditional fixings! 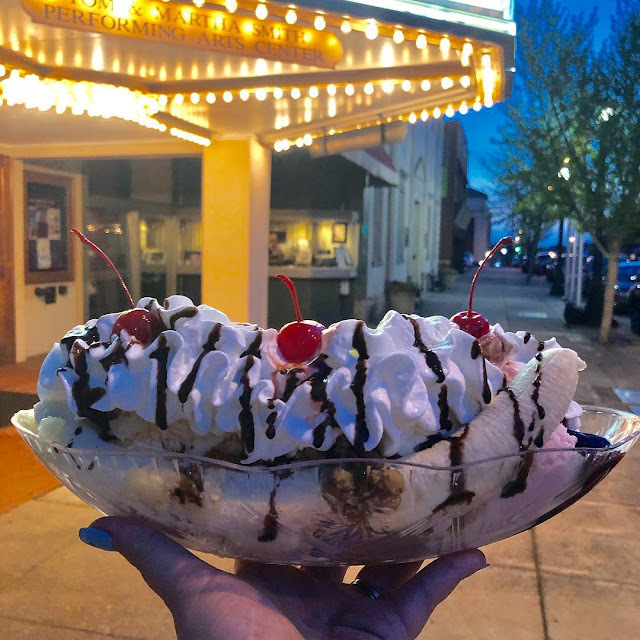 This enormous bowl of Heaven can be enjoyed by two or more people BUT if one person manages to eat it all in 30 minutes or less, the feast is FREE of charge, and the brave soul who conquered it will be honored with a portrait on the Scoops’ Super Split Wall of Fame! 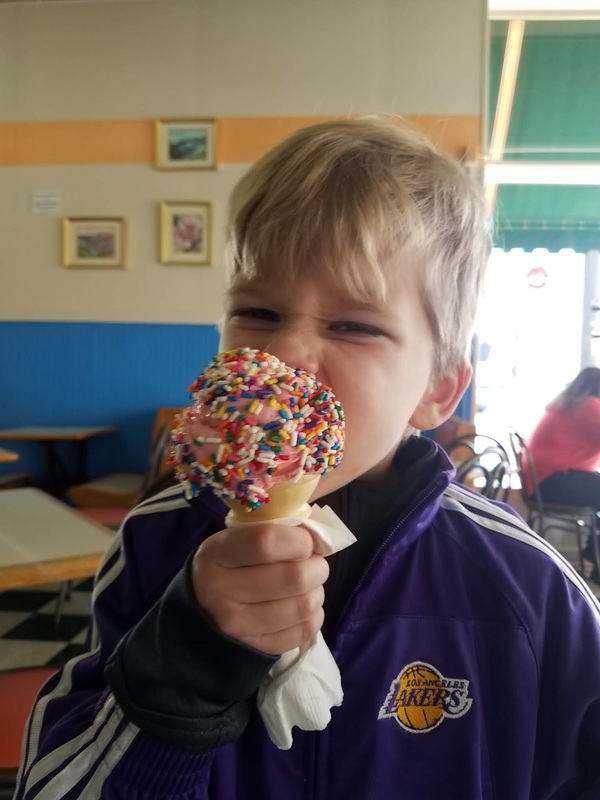 Salisbury Scoops is open Tuesday through Thursday from 11am-8pm, and Friday and Saturday from 11am-9pm. You can find them on Facebook and Instagram @salisbury-scoops! 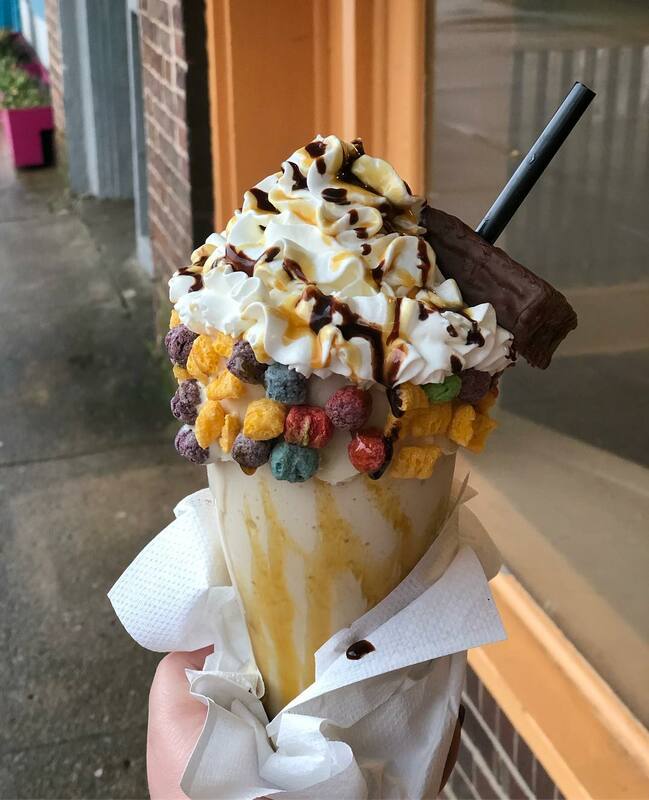 So when that craving hits, and you know it will, don’t forget that when it comes to ice-cream Salisbury has it all! Follow @SalisburyFoodie on Instagram and Facebook! 10 years ago, I was in my mid-20s, newly married, and preparing to welcome my first child into the world. I was just entering the "nesting stage" of my pregnancy and I was determined to find the perfect home for my new bundle of joy. Finally, after countless trips to the bank, months of counting pennies and a little creative problem solving, I landed in the duplex (soon to be single family) home of my pregnant dreams. The home was located smack dab in between some of the most beautiful historical homes I had ever seen, and those older homes that had been abandoned and left to rot over the years. This juxtaposition of the pre and post renovation homes was a contradiction that became apparent in many aspects of Salisbury and now, 10 years later, it has become the thing that makes it so incredibly special.